Create top level messaging & copy for the Guaranteed to Wrinkle digital presence, including website and live event promo materials. Conduct competitive research to identify the GTW brand, messaging, voice & tone to be communicated across all platforms. Produce promotional copy for all GTW events as well as elevator pitch, tag lines and body copy. 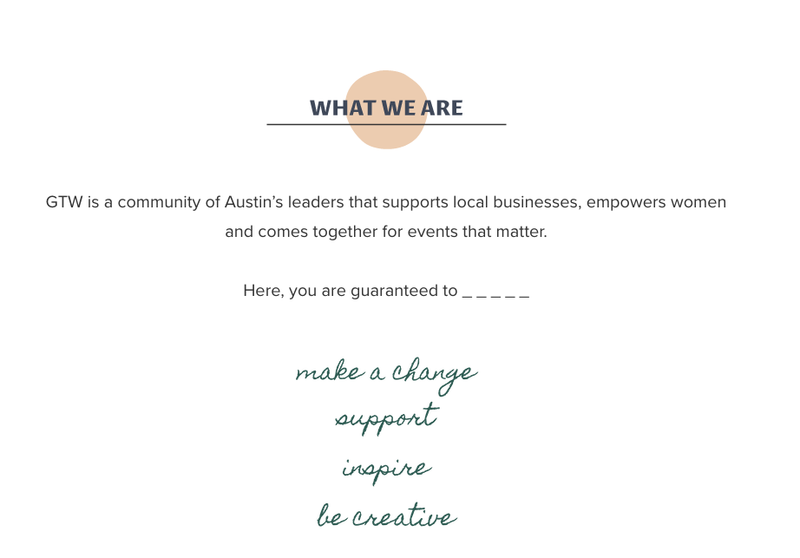 From C3 Presents’ Lindsey Sokol and Meredith Galton comes Guaranteed to Wrinkle, a community of Austin’s leaders that supports local businesses, empowers women and comes together for events that matter.